Phoenix Rising FC Co-owner & Board member Alex Zheng, Galatasaray Marketing & Brand Management Director Didem Özgüven, Galatasaray Strategy Business Development & Projects Director Volkan Yilmaz, Phoenix Rising FC General Manager Bobby Dulle, Phoenix Rising FC Co-owner & Board member David Stearns, Phoenix Rising FC Governor Berke Bakay, Phoenix Rising FC Co-chairman Brett Johnson, Phoenix Rising FC Co-owner & Board member Tim Riester, Phoenix Rising FC Co-owner & Board member Mark Detmer, Galatasaray Board member Dorukhan Acar, and Galatasaray Board member Oytun Ozer. PHOENIX (April 5, 2019) — Phoenix Rising FC announced today an international cooperation with a world brand in soccer, Galatasaray Sports Club of Istanbul, Turkey. The agreement includes cooperation on soccer operations, commercial projects, discovery and training of youth soccer players, international exhibition matches, tournaments, training programs for coaches and players. The partnership will also help introduce more Galatasaray products in the United States. 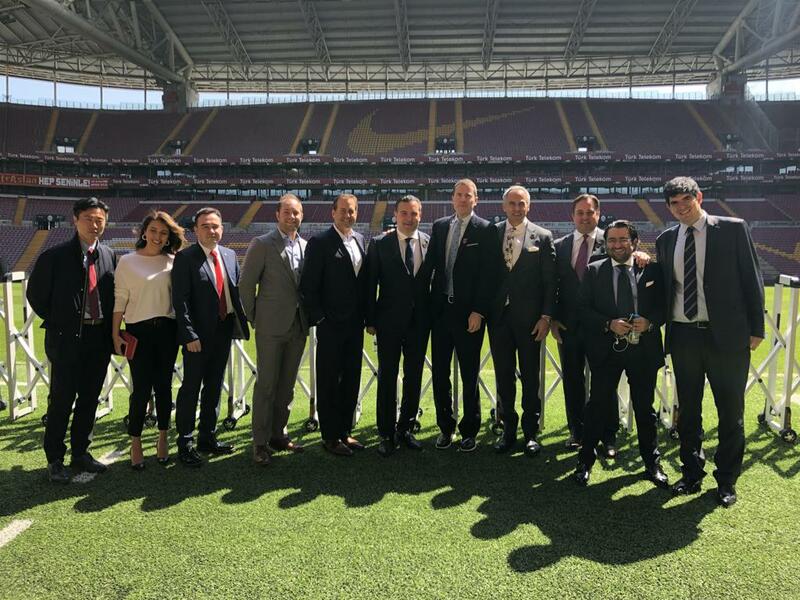 Phoenix Rising FC co-owners and general management began formal meetings with board members and executive leadership of Galatasaray yesterday in Istanbul, Turkey. The leadership of both clubs established integrated committees to immediately begin work on soccer and business initiatives. “We are excited to launch this international cooperation with Phoenix Rising FC,” said Galatasaray SK Chairman Mustafa Cengiz. 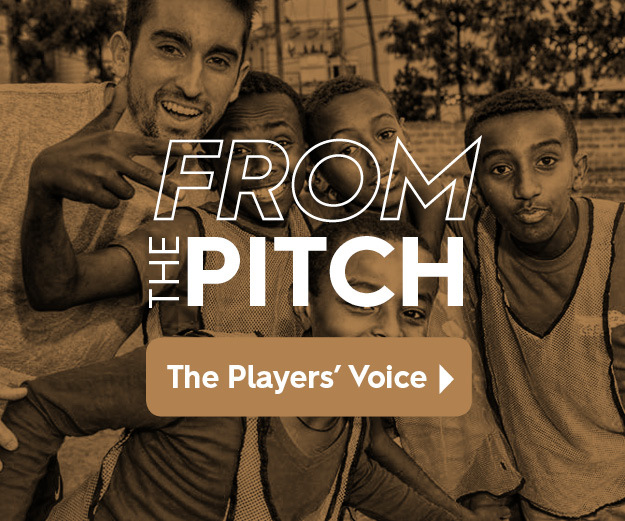 “Together, we expect this partnership to extend our brand in the growing U.S. soccer market, and our impact on youth soccer development throughout North America. Phoenix Rising FC co-owner and former team captain Didier Drogba also played one and a half years of his career at Galatasaray SK including 54 matches, scoring 20 goals and helping the team win both the 2012/2013 and 2013/2014 Turkish Super League title, and the 2013/2014 Turkish Federation Cup and Turkish Super Cup. Galatasaray will be honoring Drogba on the field tomorrow prior to its match against Yeni Malatyaspor. Phoenix Rising FC is the highest-level professional soccer franchise in Arizona’s history and the defending 2018 USL Western Conference Champion. The club is owned by legendary Chelsea and Ivory Coast striker, Didier Drogba, Advantage Sports Union CEO, Alex Zheng, Executive Chairman of Kona Grill, Berke Bakay, and an impressive collection of business leaders and international celebrities. Established in 2016, Phoenix Rising FC is one of 10 cities applying for Major League Soccer (MLS) expansion and currently plays in the USL Championship, the largest Division 2 professional league in the world. In October 2017, Phoenix Rising FC acquired FC Tucson and is bringing USL League One professional soccer to Tucson beginning in March of 2019. For season tickets or more information call 623-594-9606 or visit PHXRisingFC.com. You can also follow the team on Facebook (PHXRisingFC), Twitter (@PHXRisingFC), Instagram (@PHXRisingFC), Snapchat (PHXRisingFC) and YouTube (PhoenixRisingFootballClub). Founded in 1905, Galatasaray Sports Club is the most successful soccer club in Turkish history. The Club won the 2000 UEFA Cup Championship and 2000 UEFA Super Cup. Twenty-one times Galatasaray won the Turkish Super Leaguetile, 17 Turkish Federation Cups, and 15 Turkish Super Cups. Galatasaray has 15 branches including soccer, basketball, volleyball, athletics, judo, swimming and e-sports. The Club has 12,000 voting members, more than 30 million fans and 28 million social media followers.